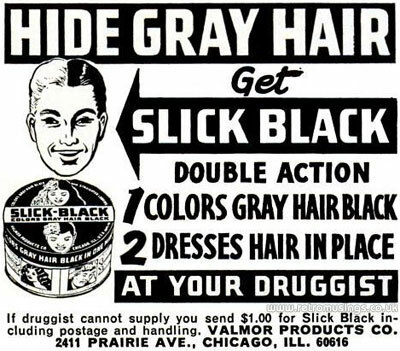 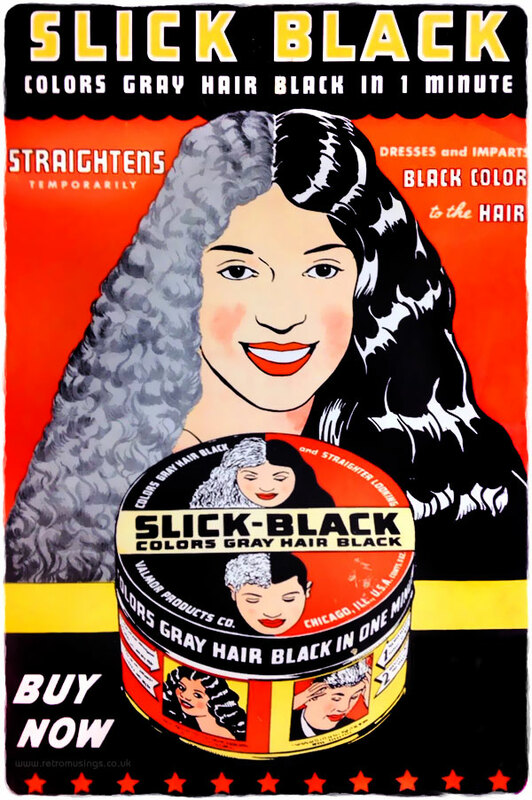 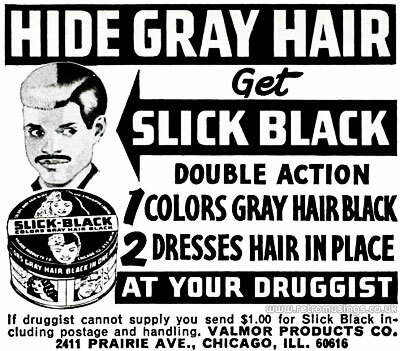 These small black and white ads for Slick Black by Valmor Products were used between 1969-80. 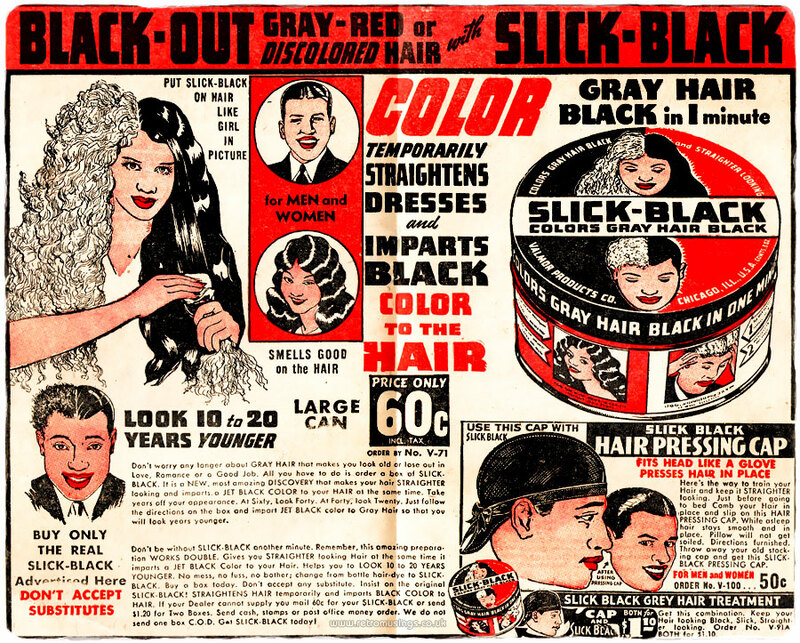 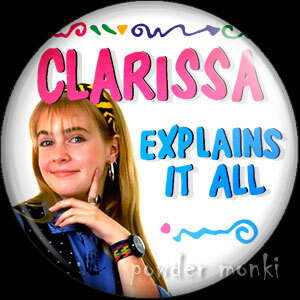 Personally, I like the half-white/half-black hair look. 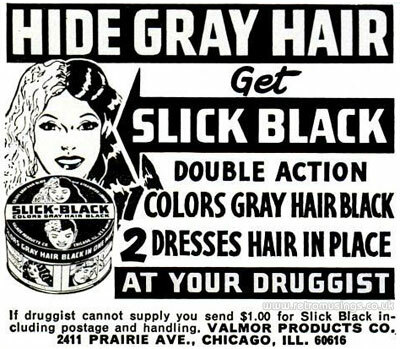 I’m not sure of the date of these two adverts.